Cal Poly Pomona Foundation, Inc., the College of Environmental Design, and Friends of VDL have launched a campaign to obtain funding for strategic plans for this unique historic site. In early 2017 the National Park Service designated it as a National Historic Landmark, and Representative Adam Schiff carried out the unveiling of the plaque announcing its status. 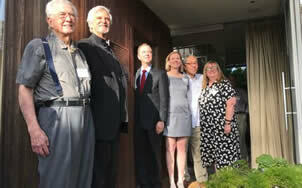 Present were Dion and Raymond Neutra, Rep Adam Schiff, Professor Sarah Lorenzen, Dean Michael Woo and Linda Dishman of the Los Angeles Conservancy. 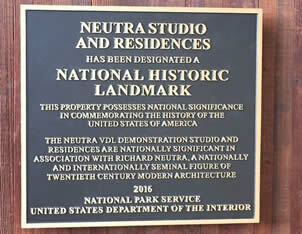 The Neutra compound is owned by the Cal Poly Pomona, Foundation, Inc., a 501 (c)(3) charitable public benefit organization. The Foundation will administer any grants in cooperation with faculty at the Cal Poly Pomona College of Environmental Design, which also provides day to day maintenance and programmatic management of the Neutra compound. 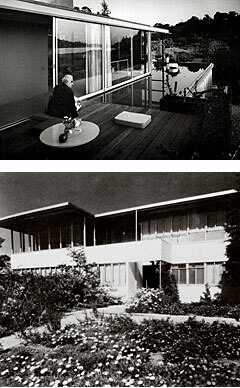 The Foundation and the College recognize that they have not yet reached the Neutra compound's potential as a tool for incoming design professionals and the public and for serving as a venue for the activities of local and international communities. To reach its potential, we must find resources to enable us to step back and develop a strategic plan that includes components for income generation and charitable donations that will support both program and preservation.